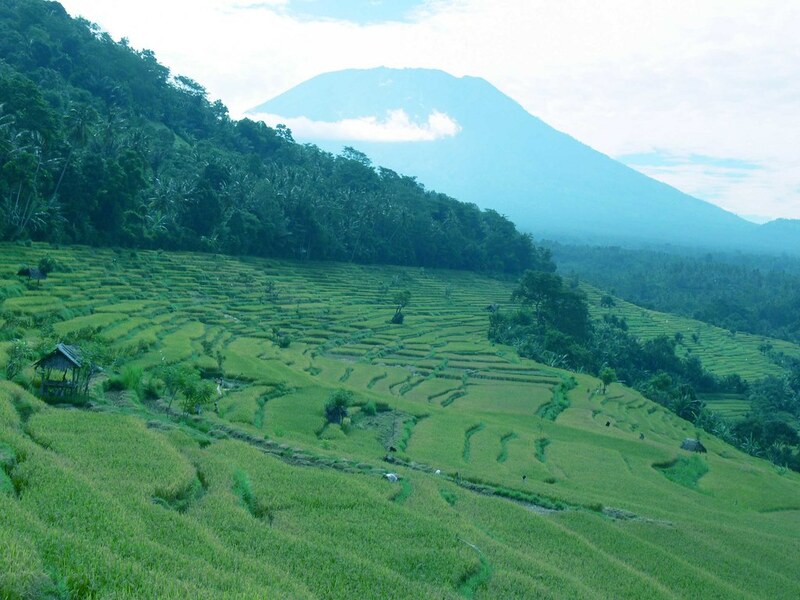 On the east coast of Bali, surrounded by high mountains, lies an ancient fortress village called Tenganan. Dating back to at least the 11th century, Tenganan preserves certain ways life lost to the rest of Bali. 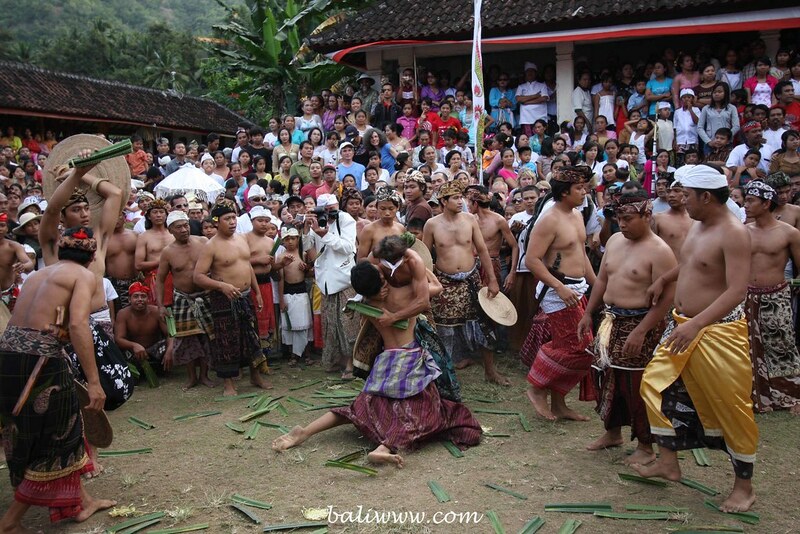 It is regarded by the Balinese as a ‘senior’ village. The uniqueness of Tenganan is evident the moment of stepping through one of the four gates in the wall that encloses the entire the village - Tenganan has a feuding past. Grey stones pave the roads and wall off the houses, each with exactly the same layout as the next. Gentle giants, the beautiful Balinese buffalo, loiter freely in shady spots. A guided stroll around the village (recommended). As the layout of the village is tied in with cultural beliefs, this is the best way to get an idea of what makes Tenganan ‘tick’. Pat the buffalo, visit the temples and hear about the system of rule in the village and what it means to worship, as Tenganan does, “Dewa Indra”, the Hindu deity of war. Forest trekking. The locals know the forest around Tenganan intimately. A trek into the mountains will take you past many small hidden temples. Your guide will tell you about the tress used for building, for foods and for medicines. You’ll also learn about local rulings for the use of the trees- for example certain fruits (such as durian) which can only be collected after they fall from the tree naturally. 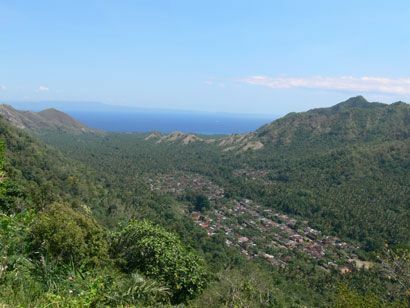 At the top you’ll get a birdseye view of Tenganan and a refreshing forest drink straight from the heart of the sweet enau fruit. Sit down with a Tenganan woman or man and learn the craft of weaving. The teaching of Tenganan’s double weave is forbidden (and in any case too difficult! ), but there are other forms that can be learned. No doubt you will gain a new appreciation for the skill of Tenganan craftspeople. Pick-up from hotel if required, transport to and from the village, breakfast, lunch, dinner, snack in the village, 2 guides (staff and local guide), contribution to nature conservation, accommodation in the village.